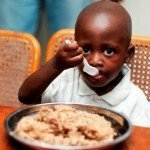 One-sixth of the world’s population goes to bed hungry every night and over 6 million children under the age of 5 die each year from starvation. Ten years ago, Debra and Jae Evans made the decision to move to South Africa. Shortly after arriving, they established a discipleship program for Xhosa children from Mbekweni. Eager to learn about Jesus, roughly 60 children showed up. Three years later, Outside the Bowl (OTB) was established, a super kitchen program that first opened in Paari. Today, that same kitchen serves over 6,500 meals daily in Jesus’ name. 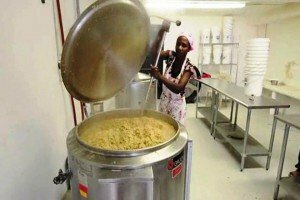 The Evanses also opened a super kitchen in Haiti that feeds more than 2,000 families and are in the process of opening one in Mexico. Without proper nutrition, the body’s immune system struggles to fight off infection and disease, such as acute respiratory illness, malaria, and diarrhea which leads to chronic dehydration. Malnourished women deliver underweight babies, which has a direct impact on the high infant mortality rate. 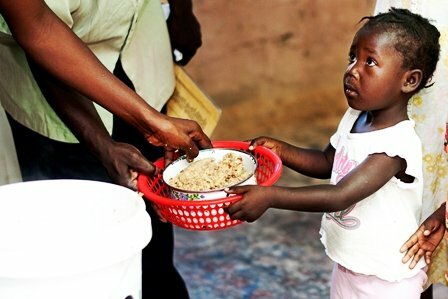 Without OTB, these people would not receive something as basic as food. Renovated cargo shipping containers are filled with a complete super kitchen consisting of a water storage tank, 700-pound electrical kettles, cooking tools, and much more. OTB also provides the necessary building materials and ships everything to the site. With materials in place, the super kitchen is constructed and operational in just weeks. Considering that each kettle is capable of cooking 1,000 meals in only two hours, with the two pots shipped to each location, OTB has the ability to serve 8,000 hot and nutritional meals within an 8-hour period. 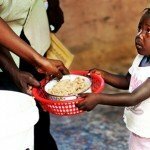 The goal of super kitchens is to help third-world countries become self-sustainable. Thanks to partnerships with various mission organizations and in-country churches, this goal is attainable. Through training, local community members can run the facilities and be more independent. OTB is now sharing the Water for Life Charity ministry to mission partners and churches in Haiti, Africa, and Mexico, with plans to distribute water filters to families who desperately need safe drinking water. On the ground, these partners will ensure that lifesaving filters reach those who need them most.